Why would I need self storage in Tracy, CA? There are a variety of reasons why you might need self-storage in Tracy, CA. How much is a storage unit in Tracy, CA? The cheapest storage unit in Tracy, CA is $36.00 per month. What size storage units do you have available in Tracy, CA? In Tracy, CA we have sizes that range from 3'x5' to 10'x30' to suit your storage needs. How much is it for a 3'x5' storage unit in Tracy, CA? The cheapest 3'x5' storage unit in Tracy, CA is $36.00 per month. Just to the east of Silicon Valley, you'll find the rapidly growing city of Tracy. Due to its proximity to several larger cities, a health job market and plenty of opportunities for outdoor recreation, Tracy has earned national recognition as an excellent location for seeking work-life balance. Before 1869, Tracy was a sparsely populated rural community. However, in 1869, rail lines from Oakland, San Francisco and other areas put Tracy on the map. A train depot built in the late 1800s brought people in from larger cities, and many people found that the cheaper goods and a reliable commuter train made Tracy the ideal spot to live. Tracy officially incorporated in 1910. After a time, the railroad business started to decline, and Tracy turned to its agricultural roots to maintain a thriving community. Unlike other railroad towns in the county, Tracy continued to build its population, and today, the town is a vibrant community. Tracy has seen impressive population growth in the past couple of decades, making it one of the fastest-growing areas in California. The city does have an unemployment rate that's higher than the state average, although job growth is slowly on the rise. Nevertheless, the city has several amenities that make it a great place to live and work. Tracy's city government hosts numerous community activities, local youth sports and a large network of more than 10 different parks. Many of the parks have extensive play areas and sports fields, ideal if you have a family with young children. From a job-hunting perspective, the city's biggest industries include manufacturing, health care, education, retail, logistics, government and food processing. The largest employers in the area include Safeway, the Tracy Unified School District and the Defense Distribution Depot San Joaquin, all good places to start if you're hoping to find a job in the city. Tracy public schools are served by a few different districts, including the Tracy Unified School District. There are also a few faith-based and Montessori private schools in the city. Utilities: The city's utilities department manages water and sewer services, while Pacific Gas and Electric supplies residents with electricity and natural gas. Garbage and Recycling: Trash is collected on a weekly basis, while recyclables and yard waste are collected twice per month. Your specific neighborhood location will determine your collection schedule. Transportation: You'll have easy access around the city, thanks to several different bus services. You can also find connections to the Bay Area Rapid Transit (BART) system, which will provide you with a convenient route to larger cities in the Bay Area. Considering its Bay Area location, Tracy is a fairly affordable place to live. However, if you're expecting prices to be on par with the national average, you'll be surprised to find them much higher. In comparison to larger cities like San Francisco, Tracy offers budget-friendly home and rent prices, making it a popular choice for many people in the area. Our lowest priced units in Tracy, CA average $54.00 per month. 155 people have reserved units in Tracy, CA in the past 30 days. 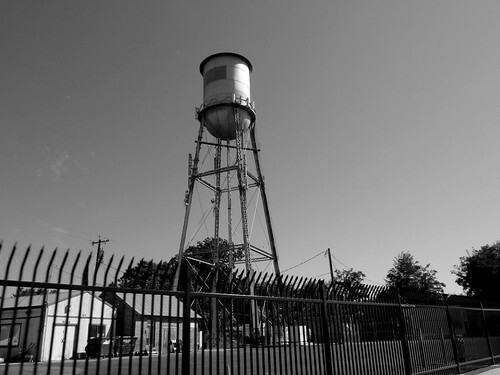 There are 3 locations within Tracy, CA's city limits. There are 2 locations in Tracy, CA that offer AC and Heating features.